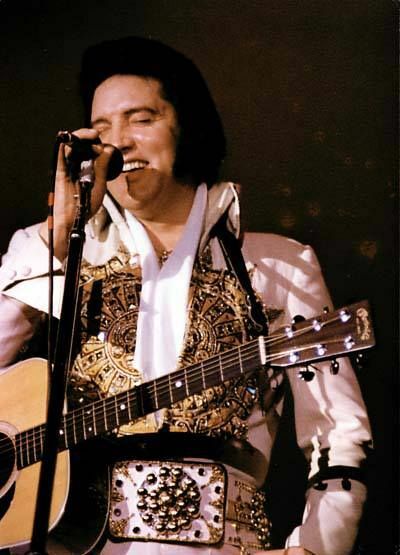 Elvis Presley's final concert took place June 26, 1977 in Indianapolis, Indiana at the Market Square Arena. The Arena has since been torn down however a monument remains on site marking the site as Elvis' Last Live Performance. The concert began at 8:00 p.m. and included hits such as Release Me, I Can't Stop Loving You and Bridge Over Troubled Water. 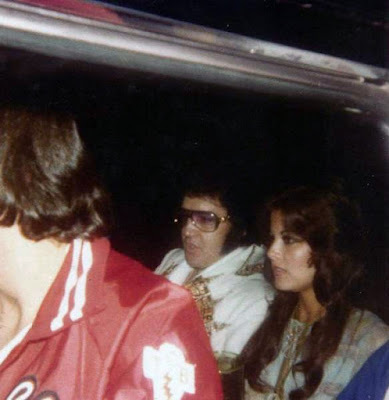 Elvis arrived at the arena was his girlfriend Ginger Alden. The Memphis Mafia and his father Vernon were also in attendance. His long time drummer Ronnie Tutt however, missed this show due to personal reasons. Sadly, he would never play for Elvis again. Elvis was not in good health. During his 1977 concerts he had several incidents where he had to leave stage due to intestinal issues. 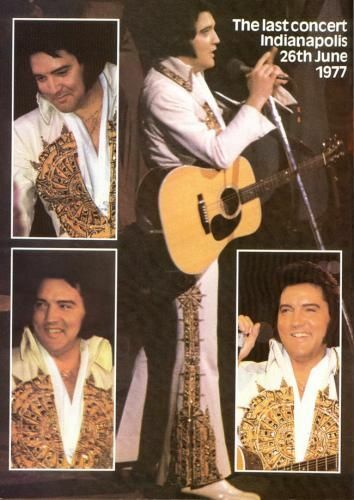 Just weeks before, Elvis had filmed a live concert for CBS. To fulfill his duties they had to record two concerts to get the results they were looking for. Elvis agreed to these concerts because of the money and the fact that his manager had practically guilt tripped him into it. Elvis was paid the high price of $750,000.00 for the CBS concert. His manager took half. 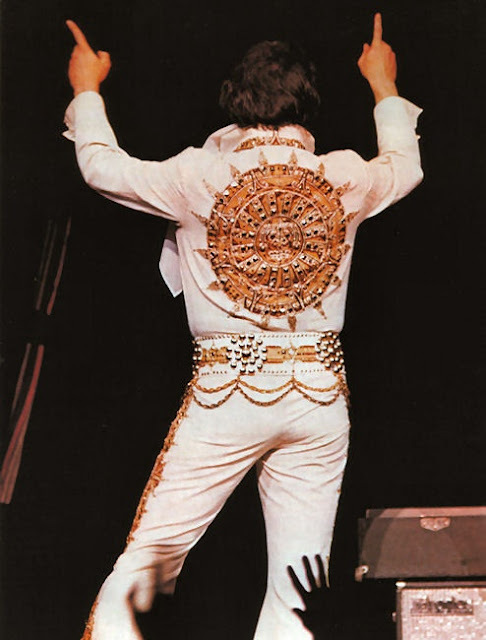 Elvis wore the Mexican Sundial Jumpsuit during all of these performances and it was the last jumpsuit he would ever wear in concert. 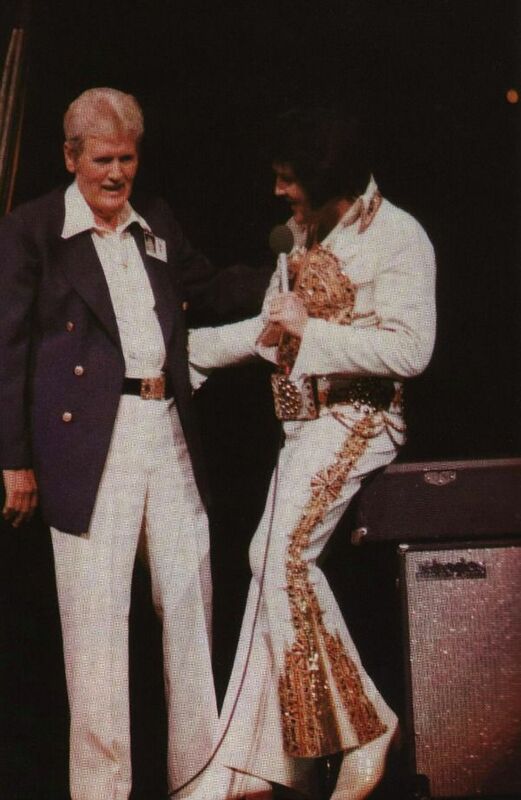 Elvis was in good spirits during his last concert. He even brought his father Vernon onto stage with him. Vernon had had several health scares in the previous months including a heart attack scare. His improving health no doubt helped lift Elvis' spirits. He gave out scarfs, spoke with the audience in between songs and played the guitar. While Vernon's health was improving, the members of the band had grown increasingly alarmed at Elvis' erratic behavior. They noted he was forgetting words to songs, slurring his speech and his graceful mannerisms gone only to be replaced with a slower and sluggish Elvis. No one knew that only months later we would lose the King of Rock n' Roll. I love all of this info on Elvis! It's still kind of hard to believe he is gone! Wish I could have seen him in a live performance.